1. There Were 43 Japantowns In California…At One Point. Today, there are only 3 Japantowns left in California and they are in San Francisco, San Jose, and Los Angeles. There is also a Japantown in Seattle, Washington. 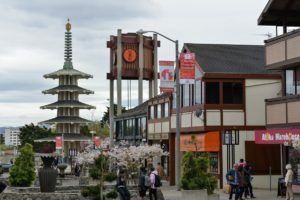 San Francisco’s Japantown is the largest and oldest Japanese district in the United States and is the host of the annual Northern California Cherry Blossom Festival, the biggest Japanese festival on the west coast. You can learn more about the history of California Japantowns here. 2. The First Cherry Blossom Festival Was In 1968. The first cherry blossom festival was held on March 29, 1968, and the festivities lasted for 3 days on 1 weekend only. It was also a much smaller scale compared to the festival today. 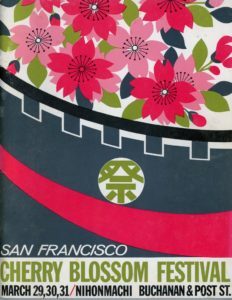 In 1968, the Cherry Blossom Festival took place between Buchanan and Post Street. 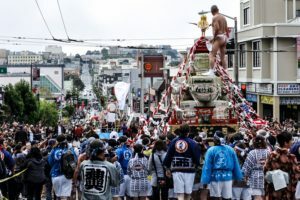 Over the years, the festival grew to what we have today – 2 weekends in April with celebration spreading across 6 blocks in Japantown. 3. 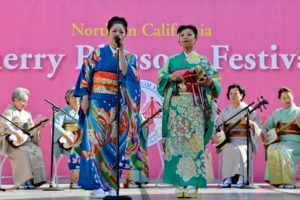 NCCBF Is The Largest Japanese Festival in California. The annual Cherry Blossom Festival in San Francisco attracts over 200,000 attendees and is one of the largest community festivals in the nation. 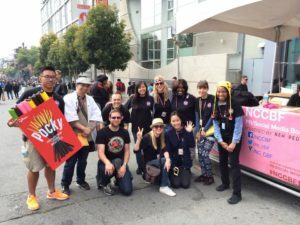 The San Francisco’s Cherry Blossom Festival is the second largest outside of Washington D. C. Therefore your attendance and support are immensely important in keeping the festival relevant and continue for future generations to come and to preserve the Japanese-American heritage. 4. NCCBF Gets Supports and Participation From Japan. Every year groups of performers come from Japan to perform at the festival. This year, 15 groups of artists and performers are coming from Japan to perform over the 2 weekends. That’s doubling the number of groups from the previous years. It is worth noting that these groups are self-funded fund and paid for all the travel expenses to come and perform for the festival. This kind of contribution truly shows us how much Japan values and support the Japanese-American community. 5. More Than 1,000 Volunteers At The Festival Every Year. The festival is successful because of the dedication and generous support from our community. Annually, more than 1,000 volunteers work over the course of the four days event. The festival welcomes volunteers of all ages and ethnic background. We get volunteers from local schools, companies, and individuals from San Francisco and all around the Bay Area. Volunteering at the festival is a great way for many to seek and to connect with their cultural identity and to share their heritage with the younger generation in the family. It also serves as an educational opportunity and professional development for many. For so many, this experience is very rewarding, and we get many repeat volunteers over the years. So there you have it! This year when you attend the festival, you’ll be able to impress your friends and family with some of this history and fun facts. We will see you all at the festival (April 8, 9, 15) and at the Grand Parade on April 16th! For more information about the festival check here.